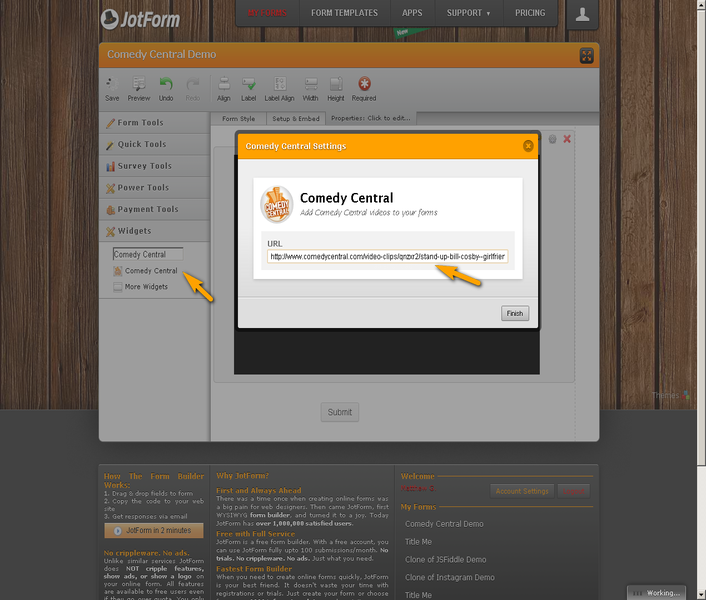 Comedy Central is one of the popular video sites that hosts comedy and funny videos on the internet. Comedy Central widget is very direct to use. 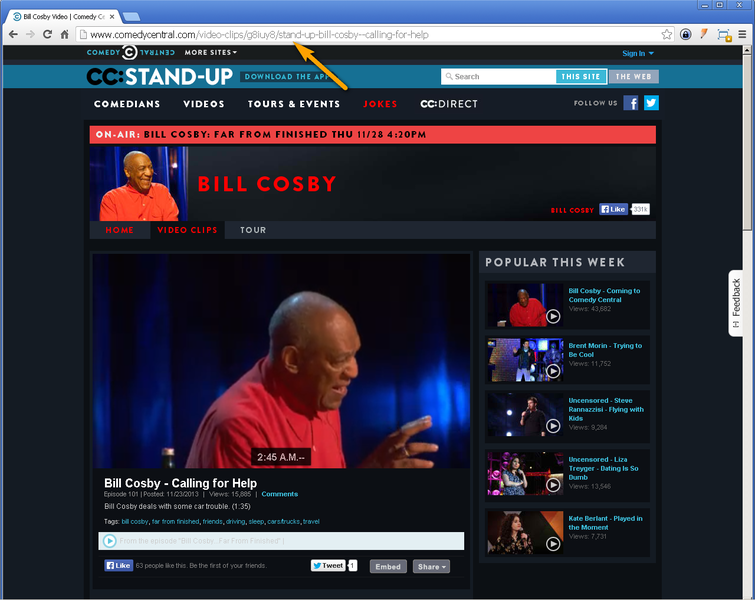 Just drag the widget on your form and paste the URL of the video from ComedyCentral.com. This will load the funny video directly on your forms! 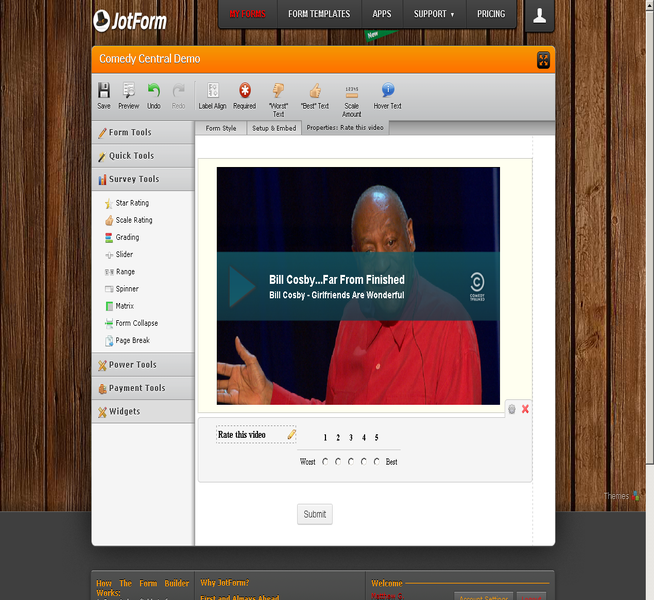 There are many uses of JotForm video widgets just like Comedy Central widget. A good scenario would be to rate the video for a survey form.